It’s all going on in the Maths Department! It’s more than Games . . .
Is Weekly Boarding for You? Have you ever considered boarding for your child(ren)? Boarding offers a range of options and need not be full time. Might weekly boarding be right for you and your child? One of our current parents kindly offers his perspective. Currently my son is a weekly boarder at Fyling Hall School and to follow are some reasons why I find this a satisfactory option. Firstly, geography plays a big part. We live in Scarborough, which is about a 25-minute drive. Both daily or weekly are practical options, especially as there is a bus to and from school each week day. Of course, there is time saved not having to make the daily commute however, this is not the main reason for him being a weekly boarder. 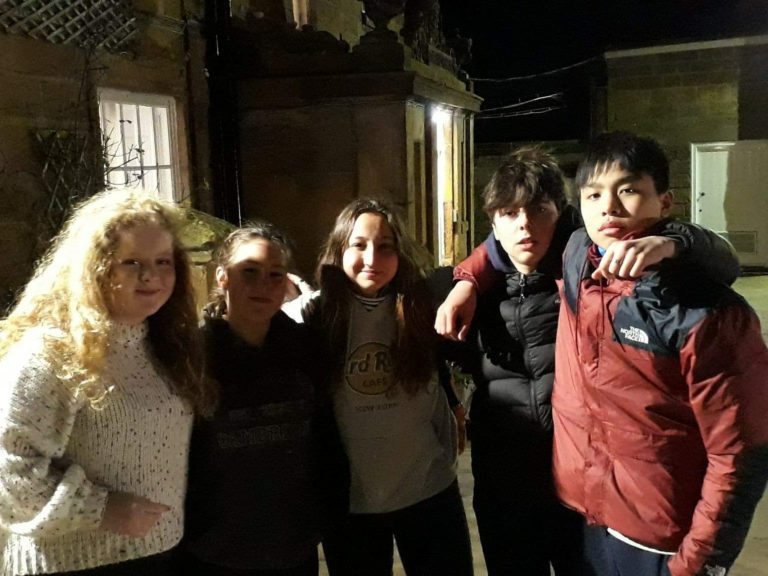 The overriding factor offered by weekly boarding is that he can enjoy a large chunk of time – five days / four nights – integrating with his peers; both during the day and the evening when many of the extra curricula activities take place. Given that school is not only for academic learning, but also for forming and sharing relationships, I feel it is important not to deprive him of this opportunity. At the same time, it still allows the family to spend quality time at the weekend. Both my wife and myself believe it is the combination of good schooling and a stable family life that provides the foundations for a child to acquire the necessary tools, skills and mindset to deal with today’s world with its numerous challenges. Another perk that comes to mind is the issue surrounding daily homework and revision. Doing this in a social environment amongst one’s peers can produce more positive results than when this has to be carried out at home alone. This certainly seems to be true in the case of my son, even though he still has homework on the weekends. Finally, and paramount to all the above, is the happiness of the child. If I felt my son was unhappy being a weekly boarder, I would no doubt suggest he become a daily. However, given that we rarely hear from him during the week, I can only assume that in this instance no news is good news, and he is happily settled. I would just like to add that Fyling Hall School has been very flexible when it comes to boarding and have been willing to change days when the occasion has arisen – for doctor / orthodontist appointments etc. This has been most welcome. Finally, I should add, my son has only been a daily or weekly boarder, never full time, so I can only compare the first two.